You Alright Back There Steve? 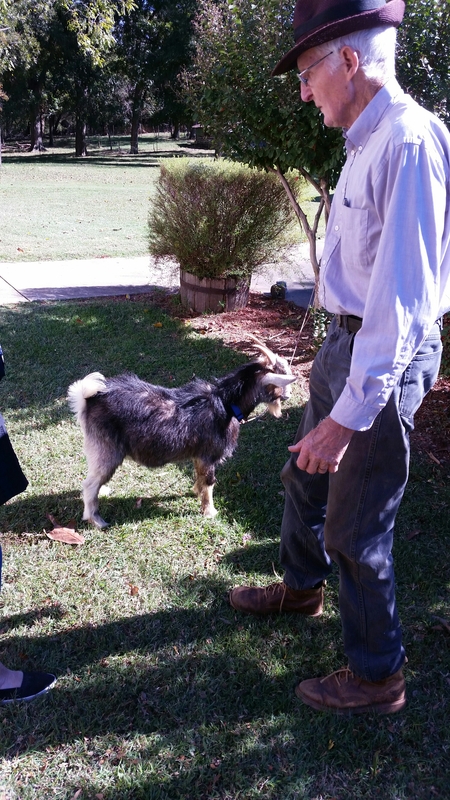 After several months of searching, I located a pygmy goat for Daddy. His old buck (named Buck), became too old to provide sire services. Thus began the search for a new, young buckling. 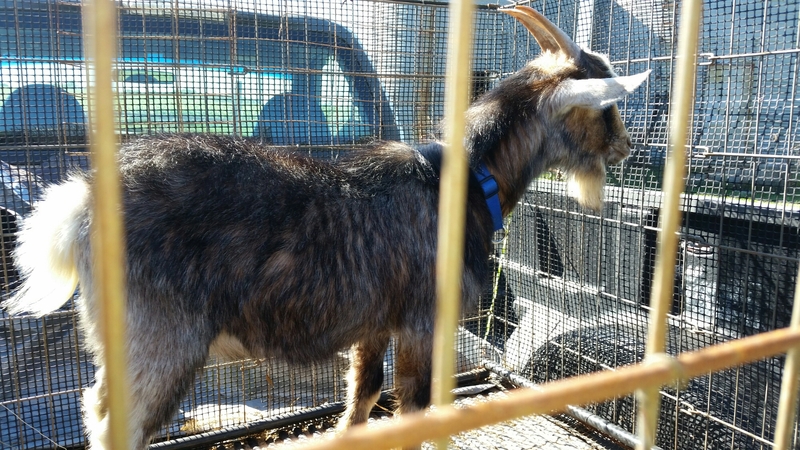 Ironically, I searched “pygmy goat for sale” on Craigslist, Facebook and several other sites. I found Steve. 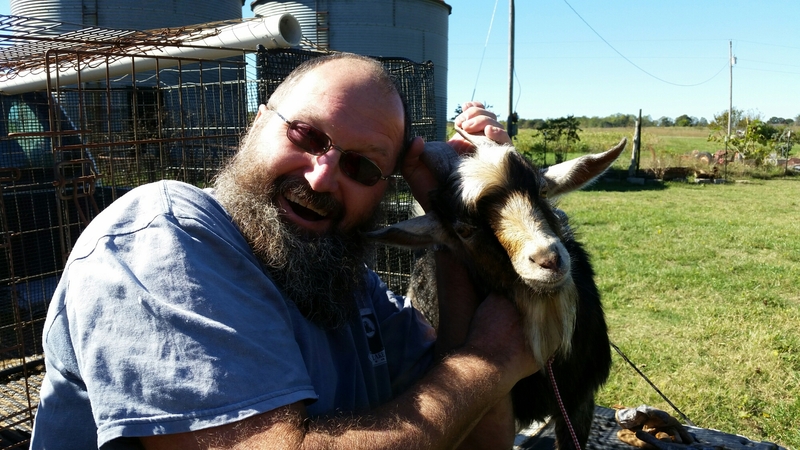 A 9 month old pygmy purchased and named by a little boy boy who loved Steve more than most goats are ever loved. Yet, as bucklings will do, Steve began to grow into his adolescence and started to display male-goat behavior. 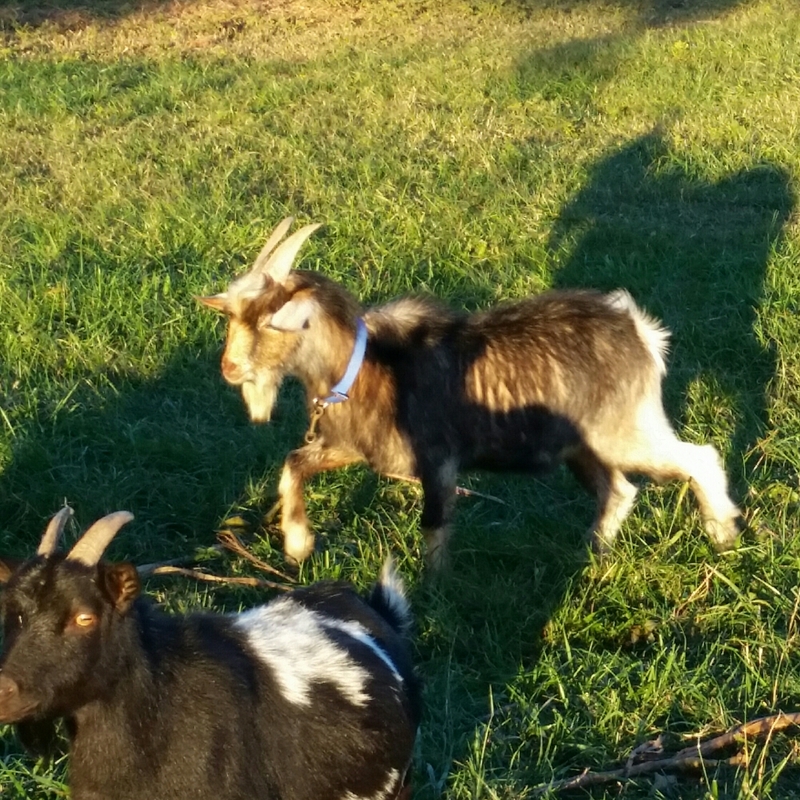 He frightened his best friend by ramming his horns and giving chase; typical goat and herd behavior. 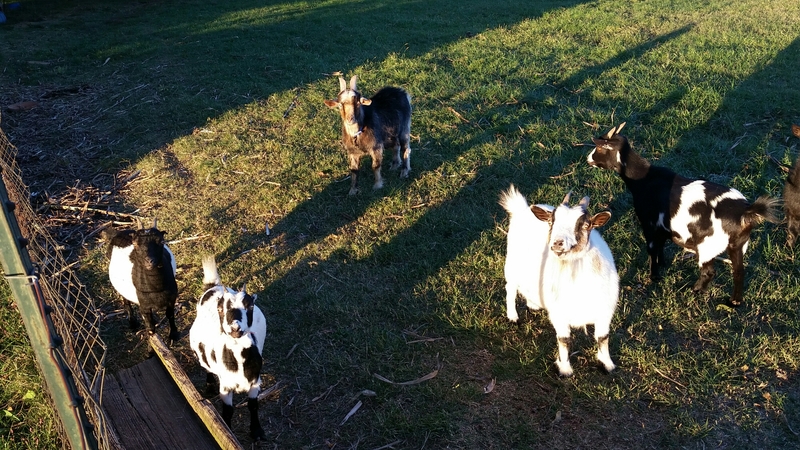 Goats like to be in a herd. They need the companionship of other like-horned creatures, and a single goat is a lonely goat. We drove 25 miles to fetch Steve on a windy Saturday morning. 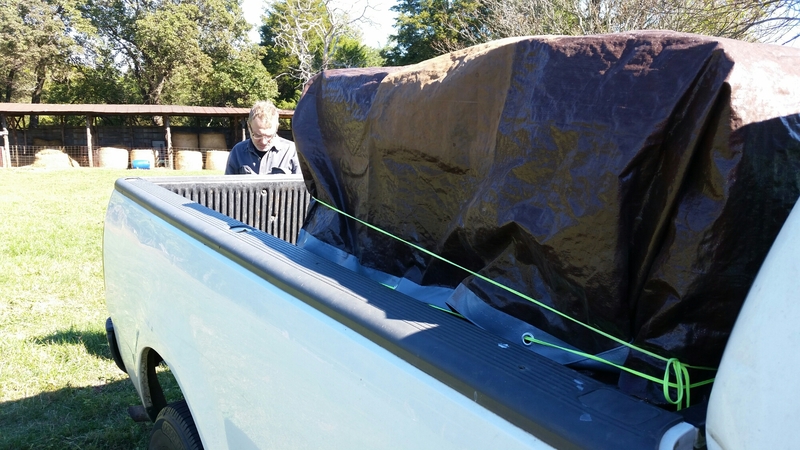 After tearful goodbyes, we covered the wire-cage on the back of the truck with a tarp to cut down on the cold wind for the 25 mile drive. Five miles later, we stopped at a convenience store so that I could check the tarp, and secure the flaps. I jumped out of the truck, walked around and asked, “you alright back there Steve?” As I turned to get back in the truck, I saw the horrified looks on customers’ faces as I told Jim, “Steve’s fine in the cage. Let’s go.” I burst into a fit of laughter as I caught a glimpse in the sideview mirror of a stunned person in pumping gas watching us drive down the road. Steve arrived to Daddy’s farm where my brother Kelly hugged Steve, and I checked his Famacha score. Eyes are the windows to our souls and an accurate test for barber-pole intestinal worms in goats; those blood-sucking parasites can a use anemia and death in goats. He’s healthy. I walked Steve on a rope to the house, and Steve munched on a few fallen leaves. 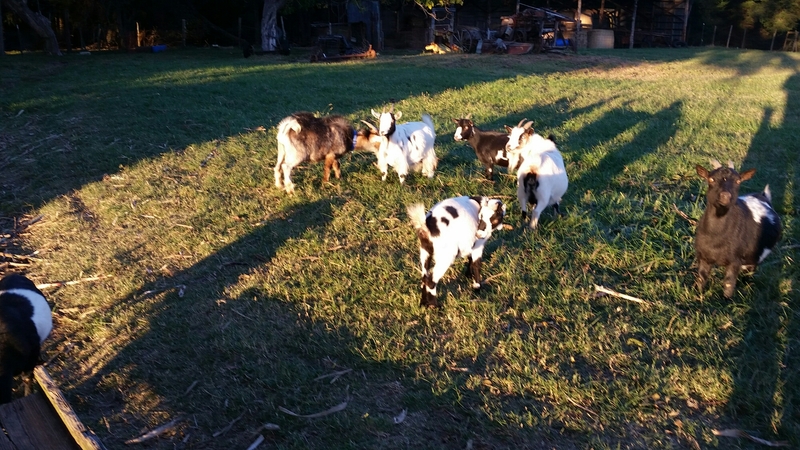 Herd introductions happen slowly at Daddy’s so that the new goat learns the pasture layout and the new heirarchy can be established. Within hours, Steve met the herd and was eating with them in the pasture as if he had been there all along. Hopefully, by June, we’ll see new baby Steves in the pasture. If not, the search will resume.